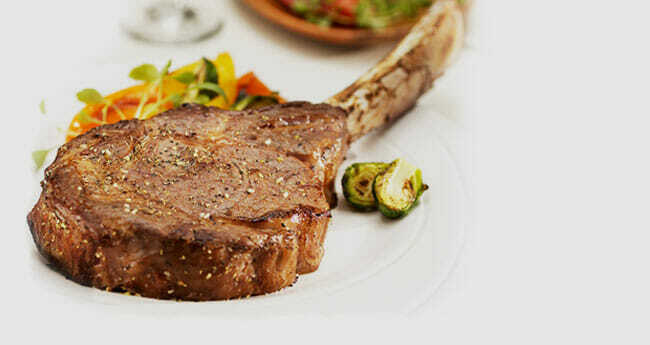 Founded in 2007, Chicago Steak Company is a delivery service that specializes in premium meats. It takes pride in offering nothing but the finest cuts money can buy. Focusing on aged meats, it operates the largest dry-aging facility in all of America, which allows it to age its meat up to 100 days before bringing it to its patrons’ tables, perfectly tender, marbled, and beaming with robust flavors. Its dedication to quality has made it a favorite source of meat not only for those who love a good steak but also 5-star restaurants and steakhouses. Although it primarily focuses on meat, the company also offers fresh fish and seafood of premium quality, as well as decadent desserts, providing an even more enjoyable shopping and dining experience to its hedonistic customers. Keep reading this Chicago Steak Company review to discover more about this service’s exquisite offer. Chicago Steak Company is not a subscription-based service. It allows you to shop whenever you are in the mood for some top-quality meat, with no commitments or minimum orders. However, if you are interested in getting regular deliveries, you can opt for one of its steak gift clubs and give the recurring gift of premium steaks to your friends, family or yourself. If you opt for one-time orders, you can order items individually or opt for interesting combos and gift packages. The company’s offer is incredibly vast and includes more than 100 items ranging from steaks, steak burgers, ribs, roasts, and ham to surf & turf packages, lobster, shrimp, scallops, and rich, mouthwatering cakes. Should you decide to become a member of a steak gift club, you can choose between the Five Star Reserve Steaks and Premium Angus Beef clubs. Both clubs allow you to choose between 6-month and 12-month subscriptions. Deliveries are made monthly. The company’s customer service is available 24/7, so you can get in touch with the staff at any time and correct any potential errors in your order. You can ask them to hold off your delivery or cancel your order as well. Keep in mind that orders should be canceled at least 1 day before the scheduled shipment date and orders can be held from shipment for no more than 30 days. Unlike most other meat delivery services, Chicago Steak Company exclusively offers the best of the best, including USDA Choice and USDA Prime steaks, the latter representing the highest-grade steaks that make up the top 2% of all beef sold in America. Apart from exceptional quality, what makes this company’s steaks special is the fact that they are all hand-selected, hand-cut, and aged in perfectly controlled conditions that allow for the creation of optimally marbled, tender, and flavorful steaks. 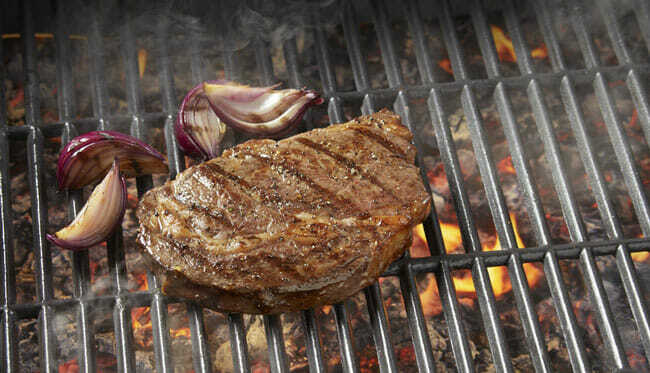 The steaks are wet-aged or dry-aged, normally for 4 to 6 weeks, in order to achieve the desired flavor complexity. Chicago Steak Company does not only provide the ultimate steak experience but also has a great rewards program that allows you to enjoy shopping at its online store even more. By creating an account, purchasing its products, posting reviews, and referring friends, you can earn points that you can exchange for gift cards and discounts on the company’s products. If you have friends who are meat lovers, you can find a vast array of amazing gifts at Chicago Steak Company. The service offers everything from gift certificates and gift subscriptions to corporate gifts and gifts for special occasions, so as long as the recipient likes meat, you can easily find a perfect present with minimum effort. We also recommend you check out the Essentials & Apparel section, which includes high-quality cutting boards, T-shirts, aprons, and seasonings, all of which make for pretty nice gifts. This section of our Chicago Steak Company review will be dedicated to exploring the company’s assortment of meats, fish, seafood, and desserts. Like we stated before, there are more than 100 items on offer, divided into 9 categories. These include Steaks, Steak Burgers, Chicken, Pork, & Ribs, Roasts, Ribs & Ham, Surf & Turf, Coach Ditka’s Favorites, Fresh Fish Market, Decadent Desserts, and Gift Baskets. As far as steaks are concerned, you can opt for premium Angus beef, USDA Prime wet-aged steaks, USDA Prime dry-aged steaks, and American Wagyu. The selection includes all the premium cuts, including filet mignon, bone-in filet mignon, ribeye, bone-in ribeye, tomahawk ribeye, strip steaks, baseball cut sirloins, T-bone steaks, Porterhouse assortments, and more. The Steak Burgers section includes premium Angus steak burgers, USDA Prime steak burgers, and American Wagyu steak burgers. Usually, there are about half a dozen items in this section. In the Chicken, Pork, & Ribs and Roasts, Ribs & Ham sections, you can find such premium products like chateaubriand tenderloin roast and Chicago-style baby back ribs, as well as some more “ordinary” cuts like boneless pork chops and marinated chicken breasts. Surf & Turf packages are particularly interesting, as they suit the tastes of meat and fish lovers alike. They offer the best of both worlds, with premium-quality lobster tails and juicy, top-of-the-line cuts like filet mignon and NY strip. If you want to cook steak like Coach Mike Ditka and recreate your favorite steak dinner from Ditka’s steakhouse, you should check out the Coach Ditka’s Favorites section. Although it only includes about half a dozen items, it does feature amazing premium-cut assortments and grilling packs that can inspire you to become a truly great chef. The Fresh Fish Market section is where you can find the real jewels of the sea. There are around a dozen premium items, like scallops, wild caught salmon, jumbo shrimp, lobster tails, Alaskan king crab legs, and fresh swordfish. Decadent Desserts is the section dedicated to satisfying your sweet tooth and it mostly focuses on cheesecakes. Whether you are in the mood for New York cheesecake, strawberry swirl or turtle cheesecake or want to indulge in a decadent chocolate cake or red velvet cake, you can find the right solution for your cravings in this colorful section. Finally, gift baskets come in all shapes and sizes and they are designed for a variety of occasions and tastes. You can opt for a group therapy basket, thank-you basket, tropical spa and gourmet gift basket, a country breakfast basket, and a number of other great gifts designed with gourmet lovers in mind. As far as the gift clubs are concerned, we previously mentioned in this Chicago Steak Company review that you can choose between the Five Star Reserve Steaks and Premium Angus Beef clubs. You cannot choose which items you want to receive in your deliveries, but you get to sample nearly everything from the company’s range of USDA Prime or Angus beef cuts, depending on the club you pick. Your first delivery contains a gift in the form of the company’s signature steak seasoning. All Chicago Steak Company products come with individual prices ranging from under $40 to more than $400. The price depends on both the quality and the quantity, with 5 oz. of premium Angus beef filet mignon costing $59.95 and 12 oz. of USDA Prime filet mignon coming at the price of $329.95. The prices are far from low, but we did not expect meat of this quality to come cheap and we can definitely say that if you are a true meat lover, it is worth the cash. 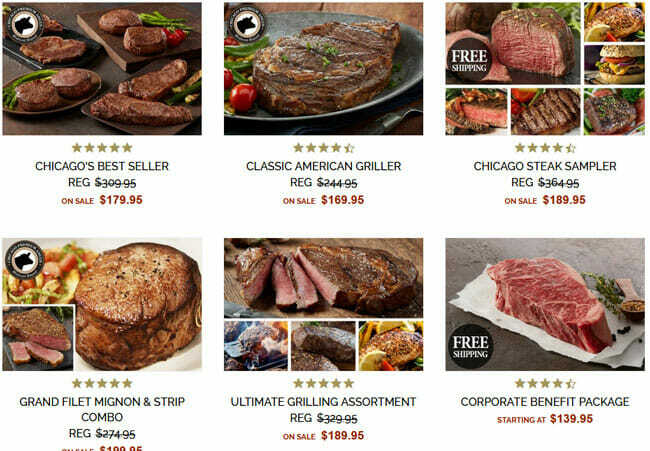 If you opt for the Five Star Reserve Steaks club, you pay $999.95 for the 6-month subscription or $1,799.95 for the 12-month subscription. The Premium Angus Beef club subscriptions are a bit more affordable. The 6-month subscription costs $849.95 while the 12-month subscription costs $1,599.95. Shipping is free with subscriptions, but the same is not true for one-time orders, although the service is known to frequently offer free shipping promo codes. Shipping costs range between $19.99 and $59.99 and depend on the desired shipping method, the value of the order, and the location (continental US or Alaska/Hawaii). Chicago Steak Company delivers throughout the US, including all 50 states. Due to the perishability of its products, it is unable to ship internationally. Available shipping options include standard shipping (5-7 business days), express delivery (2-3 business days), and standard overnight delivery. The company guarantees that the products shipped will be in excellent condition up to 8 hours after delivery. If this is not the case, you can get in touch with the support staff and they will do everything they can to make it right. To make sure Chicago Steak Company meets all your standards and expectations, it is important to know its biggest advantages and disadvantages. With a short overview of its pros and cons, you can easily decide if Chicago Steak Company is the right company for you. If you want to enjoy the best steaks in America and perhaps get something decadently sweet along the way, Chicago Steak Company is a perfect choice. Its offer is rich, its meat is as good as it gets, and it even offers top-quality fish and some pretty mouthwatering desserts. You can order as often as you please or opt for a subscription – it is completely up to you. Plus, the company’s rewards program allows you to earn nice gifts just by being a loyal customer. In terms of downsides, our list of dislikes only includes the not-so-low prices. However, there is a big difference between overpriced and expensive and Chicago Steak Company products most certainly fall into the pricey-but-worth-it category. Our ratings are the result of an objective and independent evaluation of Chicago Steak Company, generating the final rating that reflects the overall quality of the company. Ratings may change as the service changes. Chicago Steak Company customer rating based on 2 customer reviews. We found 0 verified Chicago Steak Company discounts for April, 2019. If you like Chicago Steak Company but aren’t sure whether they are truly the ideal choice for you, you may want to take a look at our comparisons below to discover if one of their competitors is more suitable for you.